Mount Bromo Tour. Greetings from surabayabromotour.com,This website is made to give an ease to travelers visiting mount bromo East Java to get one easy solution to book mount bromo tour and to east Java surrounding area. 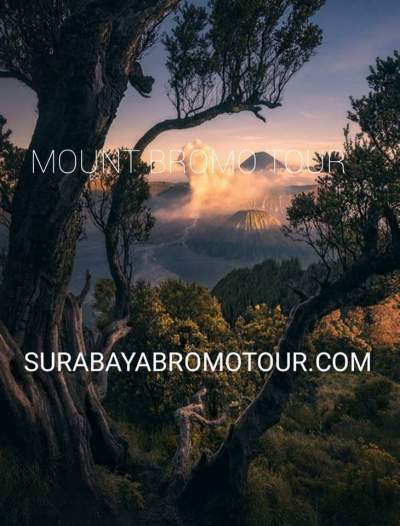 Surabaya Bromo Tour is a Tour Operator handles tour to Mount Bromo, Ijen Crater Blue Fire Tour, Semeru Volcano Trekking Tour, Baluran National Park Tour, Alas Purwo National Park Tour, Sukamade Turtle Beach Tour and more. We arrange tours to meet your preferred one. Tours are operated by surabayabromotour.com. Contact our tour planner for your customized tour to Mount Bromo from Surabaya. We are self-managed tour operator that we offer better comfort and reasonable rate. We have become representative of some tour agency to handle their clients for East Java Tours. 1.1 How to get to Mount Bromo ? 1.2 What do you wear to mount bromo ? 1.3 When should i go to mount bromo ? 1.4 When did mt.bromo last erupt ? 1.5 Why is mount bromo famous ? 1.6 How much mount bromo entrance fee ? 1.7 How do you go mount Bromo in the near future? Typical trip to Mount Bromo would have been through a tour company where you will take a private tour and stay in a pre-booked lodging accommodations. In some ways, you would save your energy this way as you will be making a very little effort in this trip. We have commitment to be involved in Indonesia tourism and support eco-friendly operation that benefits host communities. We involve local guide in our activities, that will favor information, and more comfortable for travelers. Our Guides are friendly and flexible. Enroute to Mount Bromo you can stop by at some points of interests as well. Just inform our tour planner or in charge tour guide. Accommodations. We cater your need for private tours to Mt Bromo , with your preference and any customized and special requests. We have good cooperation with hotels with various caterogy: from budget to luxury hotels located in the surrounding Mt Bromo Crater. Vehicle. Enroute trip from Surabaya to Mt Bromo you will be riding comfortable vehicle. Coach will be adjusted as per group number. For small group we arrange with Toyota Innova or Toyota Avanza. For more than 4 participants we use Isuzu Elf or Toyota Hiace. For more than 12 group member we provide Minibus to Jumbo Bus. Our vehicles are new and also fuel-efficient with minimum emission. For Bromo as the road is not easily accessible for non 4WD vehicle, you will be picked up early morning with 4WD for your off-road volcano adventure. Meals. Breakfast usually included when you stay in hotel. Hotel in Mount Bromo area serve breakfast with toast with butter, jam, raisins and eggs. And they also provide rice, nasi goreng (fried rice), fried noodle and soup. For lunch, usually you will be having it enroute with ranges of menu from Javanese, Indonesian to Chinese food. If you are a culinary adventurer, you can just inform our guide for local specific food. Inform us also if you have any restriction for meals such as: vegetarian, or allergic. How to get to Mount Bromo ? Surabaya is located 85 KM from Mt Bromo, that it is travelers from singapore, malaysia,thailand, cina etc usually use it as starting point to visit Mt Bromo. Tour to Mt Bromo to do in the early morning for Sunrise that travelers can have option to do Mt Bromo tour without staying overningt at the location. Travelers can depart midnight from Surabaya and also for Malang (optional). What do you wear to mount bromo ? Mt. Bromo can be very chilly for you in the morning when awaiting for sunrise, that we suggest you to prepare for warm clothing. If bringing them trouble you, you can just rent it at Bromo. Prepare also flashlight (if any) or our guide has been prepared with flashlight (for free). Wear good hiking boots: the soil on the way to the crater of Mount Bromo is sandy, and good ankle support means easier, smoother walking. Wear sunglasses: it’s so dusty that sand may easily get into the eyes, and that is painful. When should i go to mount bromo ? The absolute best time to visit Mount Bromo is at sunrise. As for the season to visit – plan to visit Mount Bromo during the dry season. The dry season in Java, where Mount Bromo is located, is between April to October. During this time, May to August are the best months with the chance of least rain. When did mt.bromo last erupt ? Why is mount bromo famous ? How much mount bromo entrance fee ? Bromo entrance fees for foreign tourists are IDR 217,500 per person on weekdays and IDR 317,500 on weekends and and Indonesian public holidays. There is no definition of peak holiday season. Weekend is apply when you will go in early morning of sunday, as well for public holidays. to be clear the law says ‘hari kerja’ and ‘hari libur’ (indonesia bahasa), that is working days and holiday days. In Indonesia the working day is Monday-Saturday. Indonesia has two types of Indonesian public holidays. (besides Sunday), ‘tanggal merah’ and ‘cuti bersama’, both are holiday days however ‘cuti bersama’ is deducted from employees’ holiday allowance, the difference is irrelevant for tourists. How do you go mount Bromo in the near future? Mount Bromo is very well known domestically and abroad so it is not difficult to find an easy way to visit it. Call it the Mount Bromo tour package through a travel agent in Surabaya. All facilities that you need are already complete they offer. And many choices of tour packages to Mount Bromo, so just live adjusting when and how long you will visit Bromo.